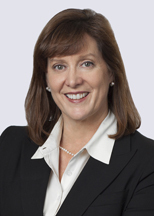 June Summers Haas is a tax attorney with significant experience advising clients on multistate tax strategies, resolving tax disputes, and litigating state tax cases. She focuses her practice on managing state income, city income, value-added, sales and use tax, property tax, and unclaimed property issues for multinational corporations. June has extensive experience litigating and resolving state tax disputes. June Summers Haas quoted in Crain’s Detroit Business article "Legal pot vs. black market a balancing act"
June Summers Haas quoted in Crain's Detroit Business, "Tax-Free Zones Need Shows"
June Summers Haas quoted in The Associated Press, "Businesses Preparing for Service Tax to Become Reality Saturday"
June Summers Haas quoted in Crain's Detroit Business, "New Biz Tax Likely In Any Budget Deal"
June Summers Haas quoted in Crain's Detroit Business, "Timing Is Everything"
Named to "The All-Decade State Tax Team"